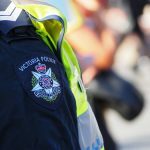 It seems that nearly every day across Australia, we hear reports of police officers engaging in acts of brutality against members of the public. And while reports are rife of heavy-handed tactics against vulnerable people such as the poor, homeless and marginalised – there are less when it comes to those who are perceived to be better off. However, this certainly isn’t always the case. A Melbourne brain injury specialist is the latest to join the chorus of people who – having previously supported the boys in blue and the work they do – has changed her views when police brutality has directly affected her. As a doctor who specialises in helping those with brain trauma, Dr Kim Proudlove is well-aware of the potential life-long impact of ignoring a person who is bleeding and losing consciousness. But when the step-mother of three attempted to help a barely conscious man who was lying in a pool of blood in a foetal position, she got a rude wake-up call. She says that when she tried to assist the man – in accordance with the requirements of her Hippocratic Oath – she was quickly surrounded by several police officers who told her in no uncertain terms to go away. She says the situation went from bad to worse when she explained to police that she was a doctor and could stop the bleeding by rendering first aid, until the ambulance arrived. Seeing that the man was not moving or talking, and was unresponsive, the doctor insisted on continuing to help him – at which time she says police officers shoved her against a wall. Thinking quickly, she says she began to film the incident on her mobile phone, at which point one of the officers attacked her and shoved her to the ground, then proceeded to punch her repeatedly in the head, before handcuffing her. She says that as a result of the attack, she suffered injuries to her ear, mouth, head and knee, as well as bruises and abrasions all over her body. The doctor says officers then arrested and put her into the back of police van, confiscating her phone for several minutes. She says this is when they deleted the video footage she had taken, as the footage was gone when the phone was returned to her. In an all too familiar story, when the doctor went to complain to the Police Standards Command, she was told it was actually her who was under criminal investigation for resisting arrest, and could potentially face serious charges. Some weeks later, she was told not to worry as police decided that she would not be prosecuted. However, she pressed on with her complaint and has since been told that the Police Professional Standards Command is looking into it. While Dr Proudlove waits for answers, the rest of the community is shaking their heads at the increasingly aggressive conduct of police officers, and some of the most ardent former advocates of the police force are finally starting to understand the prevalence of police brutality and the inadequacy of current accountability mechanisms. The incident occurred less than three weeks after CCTV footage showing police officers assaulting a disability pensioner made national headlines after going viral on social media. 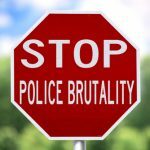 Several officers were charged over the incident and it sparked nationwide calls for reform of the police accountability systems. 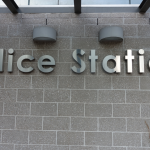 The Independent Broad-based Anti-corruption Commission in Victoria (IBAC) recently found that less than 4 percent of brutality reports in regional police stations are acted upon. 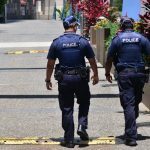 The organisation has openly criticised the way police handle internal investigations of serious incidents — accusing them of failing to consider relevant evidence and giving too much weight to police testimony over that of independent witnesses. In many cases, officers who are found guilty of misconduct or brutality receive a “slap on the wrist” – such as counselling or a change of duties. Rarely are they dismissed or seriously reprimanded, and very rarely are they criminally prosecuted. The frustration of police acting outside the law is certainly not isolated to Victoria. 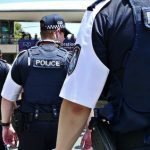 In the past 12 months, numerous reports have emerged about brutality by officers in New South Wales – many of which are backed up by footage and statements from independent witnesses. In one case, a 16-year old autistic boy was beaten relentlessly while naked and disoriented in a Byron Bay street. Independent onlookers confirmed what was already apparent in the CCTV footage of the incident– that the boy was not aggressive towards the officers at any time. One of the officers is seen on the footage to beat the boy repeatedly with his baton as the boy lay naked on the ground asking for water and pleading for help. The boy had wandered away from a restaurant after having dinner with his parents. The assault is still under investigation by NSW’s Law Enforcement Conduct Commission (LECC). In the Blue Mountains, a youth was awarded more than $100,000 compensation after being assaulted and wrongfully arrested by police. That money will, of course, be paid by the NSW taxpayer. The LECC’s annual 2016-17 report revealed that in the two years prior to the report’s release, 17 former and current NSW police officers had been prosecuted over misconduct and corruption charges. Recently released figures also show that the use of strip searches by the NSW Police Force has doubled in recent years. This is a highly invasive procedure which is now often being carried out illegally by police, and even conducted on children as young as 11 and on public streets in broad daylight. Those who have been mistreated by police in NSW have three main options open to them. The first is an ‘internal complaint’ to the police force itself. This requires a person to provide as much information as possible to the police themselves. The procedure essentially asks police to determine whether police have done something wrong, and is therefore inherently flawed. The second option is to make a complaint to Law Enforcement Conduct Commission (LECC), a body that is manifestly underfunded and does not have the power to discipline officers. The third option is to consider making a civil claim against the NSW Police Force.